It does not take much time to look around and see that the world we live in is struggling. We are struggling in almost every aspect of life. It is my belief that a main reason for this revolves around a lack of understanding of our own values as well as the values of others. We are seeing kids, youth, families and cultures being attacked in many ways and on many fronts. In order for this to change, there needs to be an acknowledgement of our own personal values. If you do not have a clear understanding of your own values, it is difficult to respect and understand the values of others. Values are those things that define us. They are the deeply held beliefs that influence our behaviors. Thus, it is our actions that define who we are. Hopefully you can see why defining and acknowledging our values is so important. There is no standard values that everyone must have nor should expect that. We should expect that others will watch how we act and what we say to determine what kind of person we are and what we believe. It is easy to see what a powerful and positive impact we could have on the world we live in if we first begin with ourselves in acknowledging our values. Once we do this, we can feel more confident in understanding others. This is at least a good first step. 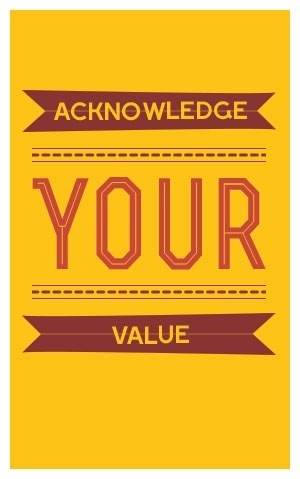 What can you to ensure you are acknowledging your values?